The music industry has come through all sorts of changes over the last few decades, but it was the birth of the MP3 that many warned was the death knell for record shops. In recent years however, vinyl has made a major comeback, and in the UK digital sales have just been overtaken by sales of the groovy black platters. For purists, enthusiasts, and fans of certain musical genres, vinyl has never gone out of fashion, but in the run-up to Christmas it is proving more popular than ever. Of course we're not looking at sales figures that are anything like back in the heyday, but they're impressive nonetheless. Last week digital sales raked in £2.1 million, while sales of vinyl stood at £2.4 million. This means that in the last 12 months, vinyl sales income has doubled, while digital sales have fallen by more than 50 percent. Clearly we are living through times in which many people are finding things rather more difficult financially, and this could be part of the reason we're seeing increased record sales. 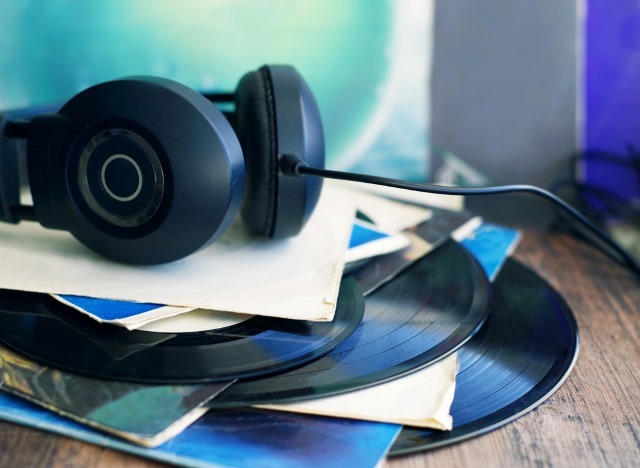 Vinyl is seen not only as a better audio format by many, but also as a more sound investment -- and albums are making a comeback in preference to the purchasing of single MP3s here and there. The vast majority of releases are coming out in vinyl now. It used to be that only heritage acts or niche albums would come out as a record, but now everything does -- pop albums, compilations, film soundtracks, all genres. Whether this revival is just a festive blip remains to be seen. Vinyl is certainly enjoying a serious renaissance at the moment, but we could well see something of a drop-off in sales once the Christmas present buying season is over.